Three powerful Force users… and not a single Jedi among them. 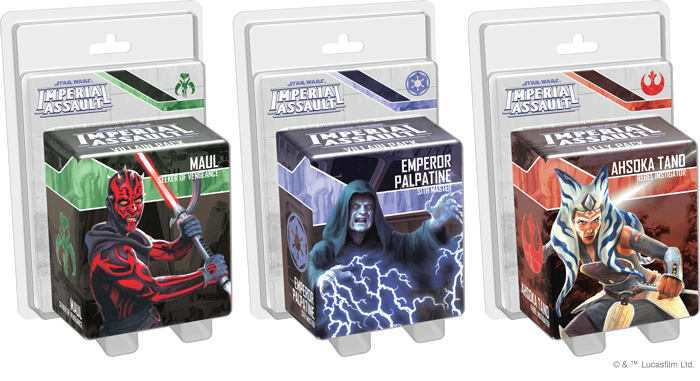 Fantasy Flight Games is proud to announce the upcoming release of two new Villain Packs and one new Ally Pack for Imperial Assault! In the city where the Jedi Council once sat high enough above ground level to soak up the sun's fading light, there are no more Jedi. The galaxy's former self-appointed guardians have been swept aside by Order 66, and Emperor Palpatine has established an order of Inquisitors to hunt down and destroy any who still remain. Even those who simply demonstrated a sensitivity to the Force were at risk of being targeted, and many were captured and sent to a secret installation on planet Arkanis as part of Project Harvester. As a result, the Jedi have all but ceased to exist, and they have faded even in the minds of the galaxy's citizens, many of whom now view the Force as some "hokey religion." But there are still some who can feel the Force and draw upon its strength. Some still seek to use its power to defend themselves and those around them. Others choose to wield the Force like a weapon that they can direct at their enemies. And when there are rumors leading toward an artifact that may enhance these individuals' abilities to use the Force, you'll find three of the most powerful of them ready to chase after those leads among the streets of Coruscant. 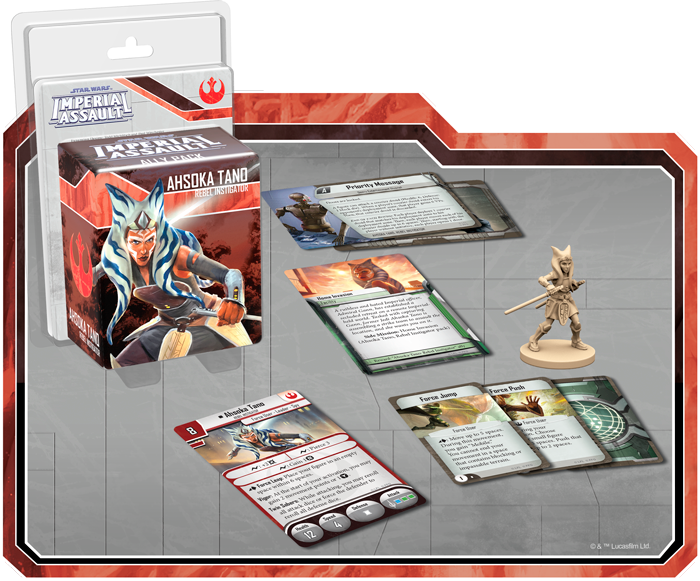 Together, these Ally and Villain Packs introduce three highly detailed figures for Maul, Emperor Palpatine, and Ahsoka Tano that you can use to replace their tokens in your Heart of the Empire campaign. 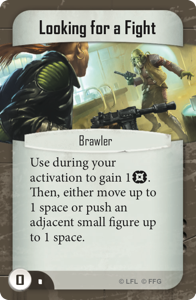 Plus, they introduce brand-new missions for your campaign games and skirmishes, plus all the Deployment cards, Command cards, and Agenda cards you need to explore new Force-centered tactics in every mode of play. "I'm looking forward to completing your training. In time you will call me master." The head of the Galactic Empire and the Sith Lord who cleverly orchestrated the downfall of the Jedi and the Old Republic, Emperor Palpatine is the single most powerful individual in the galaxy. He masterfully manipulates all those around him, he commands a military with sufficient size and strength to subjugate multiple star systems, and he wields the almost limitless power of the dark side of the Force. 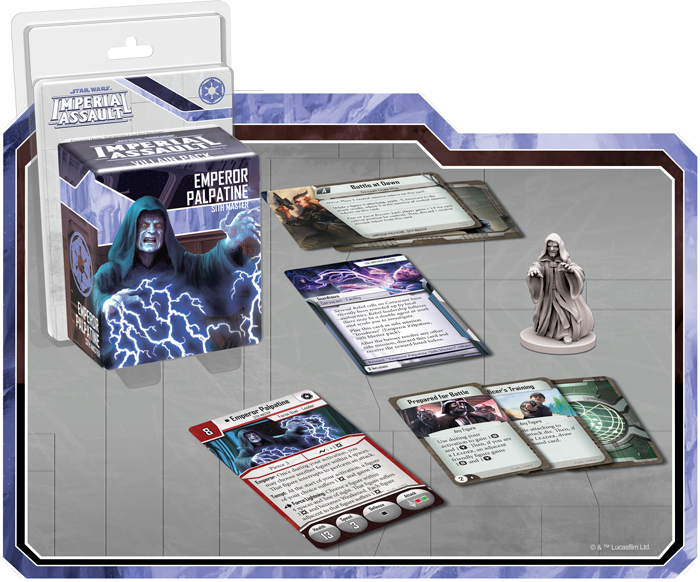 With the Emperor Palpatine Villain Pack, you can bring this Sith Lord's awesome powers—and evil—to your games of Imperial Assault. Although he does most of his work behind the scenes, playing admirals and generals and politicians like puppets, you'll find Palpatine more than capable of taking to the streets and acting directly to advance his interests. No matter whether you have the Emperor navigate Coruscant and its intrigues in your campaign or lead his army into quickly fought skirmishes, his impressive melee skills and inherent Pierce 3 offer only the merest hints of his full range of power. He can throw Force lightning, tempt others down the road to ruin, and spur others toward spontaneous violence. Most frightening of all—he can do all these things in a round in which he also makes an attack. 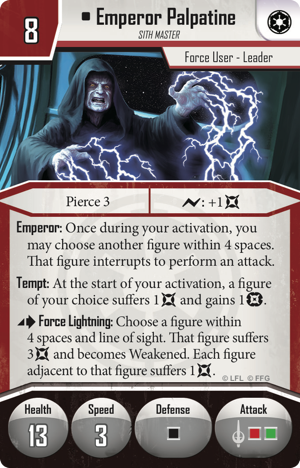 And, as befits his status as master of the dark side of the Force and supreme ruler of the galaxy, the Emperor also comes with a full suite of Force-themed Command cards and an Agenda deck that allows you to explore his many plots. "It's every citizen's duty to challenge their leaders, to keep them honest, and hold them accountable if they're not." From her humble beginnings as a headstrong student, Ahsoka Tano grew admirably into her roles as warrior, leader, and spy. She's just the rebellious sort of figure you'll want on your side as you hope to recover this lost Force artifact for the Rebellion—or, at the very least, keep it from falling into the hands of figures like Maul or the Emperor. With her Force talents and rebellious spirit, Ahsoka may offer you just the edge you need to survive your adventures on Coruscant. Using the Force to enhance her leaps, she can quickly move into position wherever she and her twin lightsabers are needed most. And then she can press the attack with one blue die and two green dice, as well as the ability her Twin Sabers provide her to reroll all her attack dice or all the defender's defense dice. Moreover, Ahsoka's talents, spirit, and connection to the Force pervade the rest of the Ahsoka Tano Ally Pack, as well. If you're daring enough, you can join her as she works against the Empire in new side mission that you can add to your campaign. 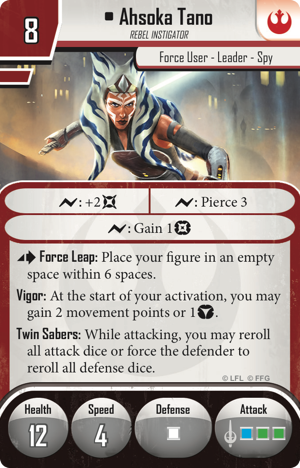 You'll find Ahsoka's Force talents reflected by four of the expansion's five new Command cards, and the fifth takes full advantage of her talents as a Spy. And two new skirmish missions provide ample opportunities for you to fight alongside Ahsoka, sowing chaos in the heart of the Empire. Rumors of an ancient Force artifact have aroused the attention of all the major players on Coruscant, and the most powerful among them have decided it's time to act—a former Sith, a former Jedi, and the singular head of the Galactic Empire. 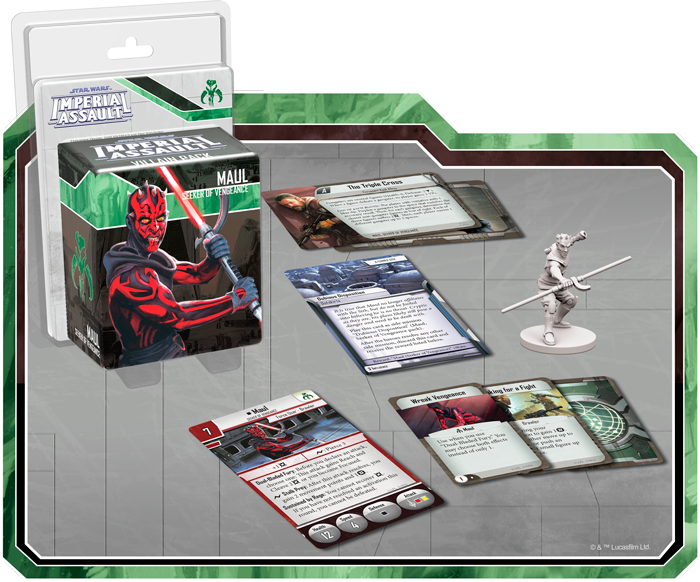 You'll see these three extremely powerful individuals in action with the Heart of the Empire expansion, and you can bring them to any of your campaign or skirmish games with the Maul Villain Pack, Emperor Palpatine Villain Pack, and Ahsoka Tano Ally Pack. 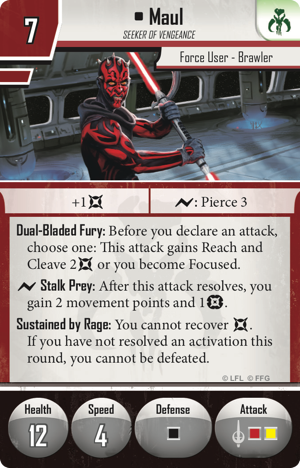 These new Ally and Villain Packs (SWI47-49) are strong with the Force, and they're all scheduled to make their way to retailers in the third quarter of 2017!